In today’s Svenska Dagbladet we find the non-alcoholic beverage VY with apple and hops as no. 1 for Easter celebrations. Gotlands Bryggeri’s seasonal Easter drop is now available for a limited time, enjoy! 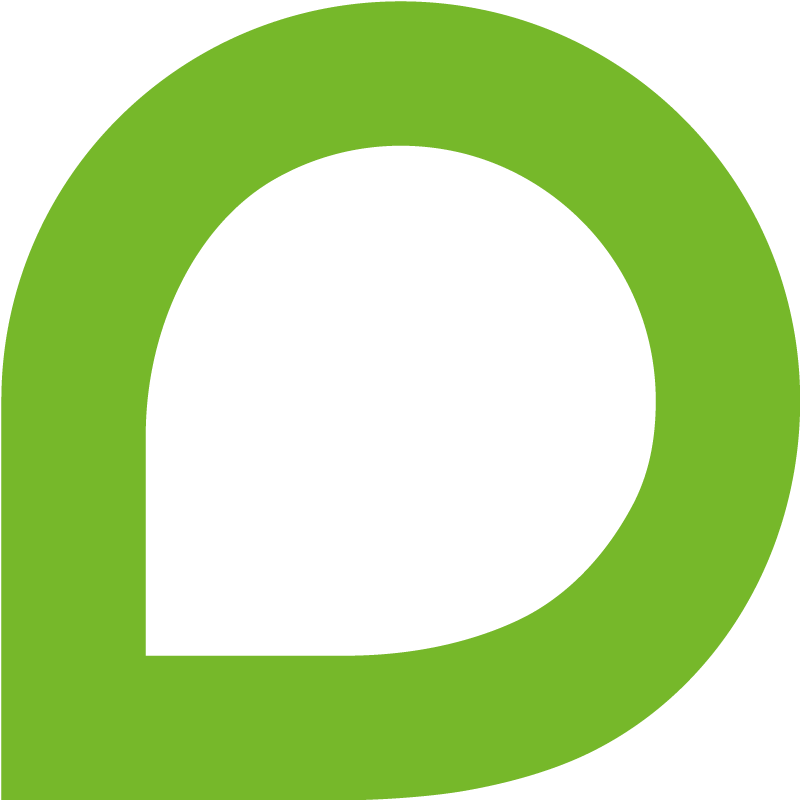 For Læringsverkstedet, an international educational business, we developed the name Dibber. A dibber is a tool for making holes in the ground so that seeds can be planted. The D is in the shape of a leaf that grows into a playful and modular design system. As the sun stays out for longer each day we announce the new logo and identity for Pergola. A solution to enjoy more time outside by defining an outdoor room. 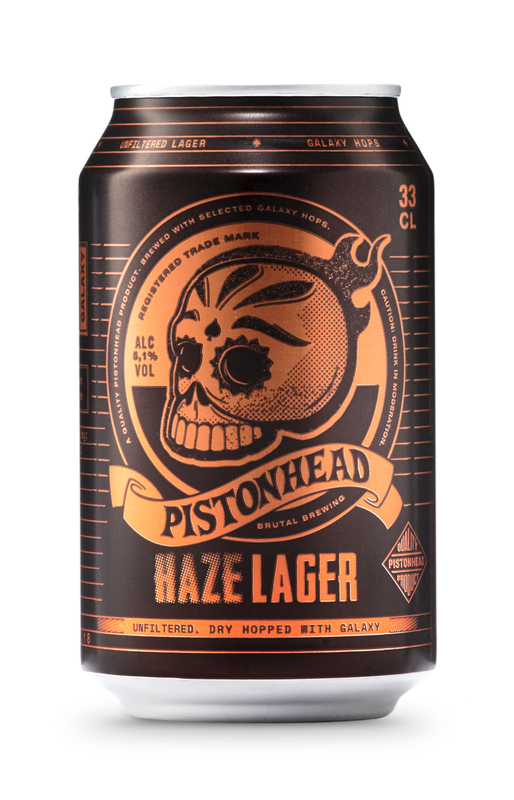 Originally released in the UK, the Pistonhead Haze Lager was so popular it’s now to be found all over Sweden. Brutal Brewing’s latest Rotating Tap beer is a Kellerbier. Get it? The Naia Initiative challenges functional drinks for the modern, active and ambitious needs. We joined forces on improving function by creating the design. February, 2019Fighting for girl power! Supporting the UFC-fighter Lina “Elbow Queen” Länsberg with design for L-Bow Academy, a project to empower young girls. January, 2019Let’s get handy, Andy! Andreas Pedersen is quite the craftsman with a passion for lettering and has just joined our team in Malmö. We are happy to welcome Anders Algestam as a colorful addition to the Malmö gang. January, 2019We are nominated to Årets Byrå 2019! The relationship with our clients is the most valuable thing for us. Therefore we are very proud to be nominated to Årets Byrå (Agency of the Year) 2019. Wisby Jul is already sold out. It might be because of the great taste, but it might also be because of the splendid design. Only Santa knows for sure. We’ve given the renowned architects Fojab a brand new look, inspired by the architect practice in its purest form. World premiere tonight at the Grand Hotel in Lund. Here’s a sneak peek, stay tuned for more. Happy to be supporting Musikhjälpen this year with our auction, that ended at 100 500 SEK thanks to the amazing pet lovers at Sveland Djurförsäkringar. We are looking forward to get started with the work of their new visual identity. The third edition of Lundaspelen Superstars is coming up in January. Two days in Monte Carlo photographed by Sture Lindvall. Head over to Grevgatan 61 in Stockholm to get your numbered copy. The latest addition to the Brutal Brewing family has arrived. Enjoy it while you can! Another exciting book project coming up, this time with the art gallery GKM. We are flattered to be a part of O’Learys 30 year birthday celebration where our graphics come to life! Neumeister has created the new identity for one of the most unique buildings in the epicenter of Stockholm; Sternhuset. 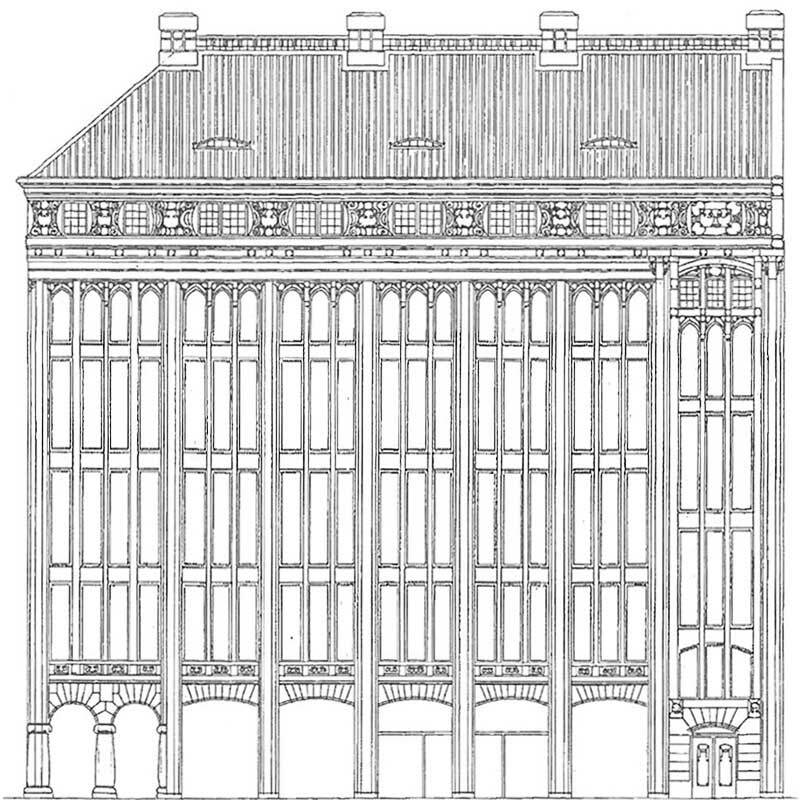 Designed in 1908 by the Swedish architect Ernst Stenhammar. We were honored to participate at the dinner with brewmaster Richard Bengtsson and the last four winners of Chef of the Year. Quan is a brand new restaurant located in the heart of Malmö serving contemporary Asian food. We are proud of creating their visual identity. “Travel is the only thing you buy that makes you richer”. We are delighted to work with The GMT Series concept for Bravur. New identity for Gotlands Bryggeri — carefully crafted to reflect the artisanal high standards and hard work of the brewers at S:t Hansgatan, Visby. Stay tuned for the complete case. So says Anna Dormer Volgsten. And having Anna join our design team at the Malmö office really puts a smile on our faces. Escape rooms, boules tournament and a rooftop dinner, all part of a great summer send-off in Malmö. Boules champions (above) leading the celebrations. The more senses we stimulate the stronger the experience is. The perfect sound and design with the perfect drink. We are absolutely thrilled that Tor Weibull is now at Neumeister. As our new designer and type expert, Tor fits us to the letter. In India, we experienced first-hand how Barnfonden really makes a difference. Please join us in supporting them. September, 2018Svenska Designpriset nomination 3 of 3! Vote for the Hansa mixer series in Svenska Designpriset next week! September, 2018Svenska Designpriset nomination 2 of 3! Vote for Norrlands Guld in Svenska Designpriset next week! September, 2018Svenska Designpriset nomination 1 of 3! Vote for O’Learys in Svenska Designpriset next week! September, 2018Sweet! Caroline is here! With five years of design experience in her portfolio, we’re singing the praises of Caroline Bergsten, one of the newest members in our Malmö office. 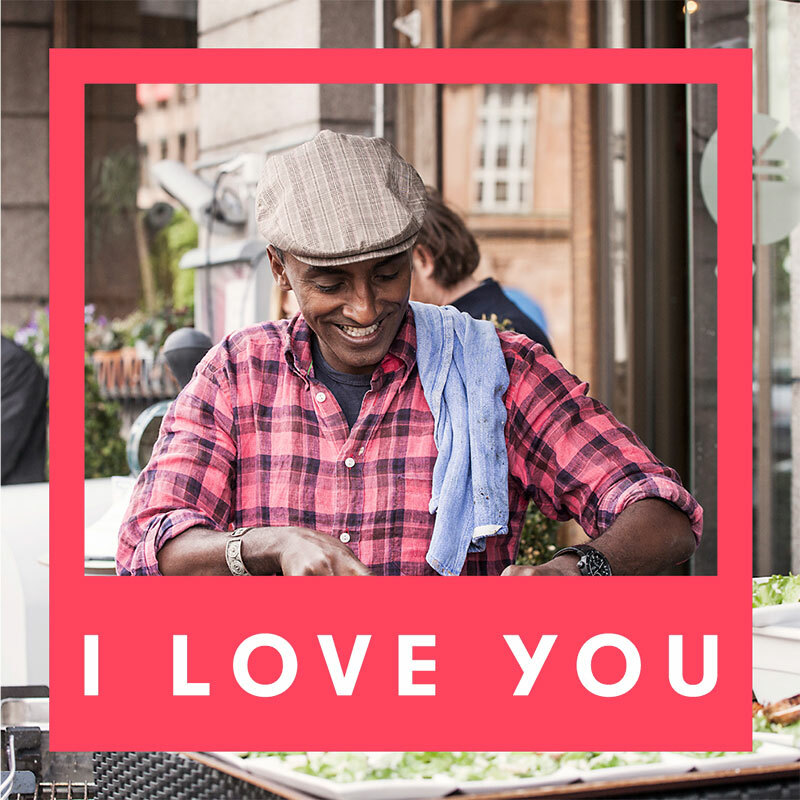 Malmö welcomes Marcus Samuelsson as a part of Malmö I Love You’s urge towards a more including and engaging society. Identity by Neumeister. With a great eye for design, we are very happy to now have Alexander Örn nesting with us in Malmö. 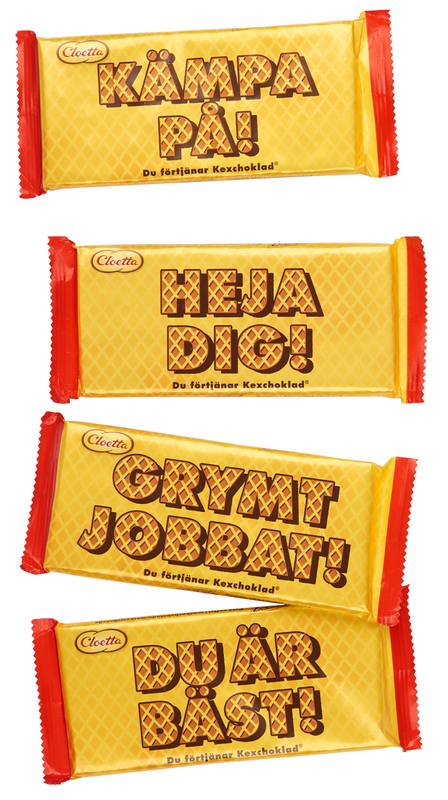 We’ve designed Kexchoklad as a sweet reward ‘cause you deserve a treat for your accomplishments. We’re promoting “Malmö, I Love You” ‘cause bringing everyone closer together makes our city and world better. Now she is here. Please join us in welcoming Izadora Lundmark, our new production manager on the Malmö team! We popped Trocadero’s iconic umbrella back on the label ‘cause it took us back to our childhood.